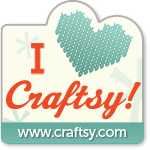 Cotton Compulsions: The Rosedaisy Alphabet Giveaway!! simple backstitch and running stitch. or even use all of the stitcheries in a quilt! They are a set of beautiful stitcheries you will use again and again!!!!! ‘rosedaisy’ alphabet letter you would stitch first and why. contacted if you win (otherwise a new winner will be drawn in your place). 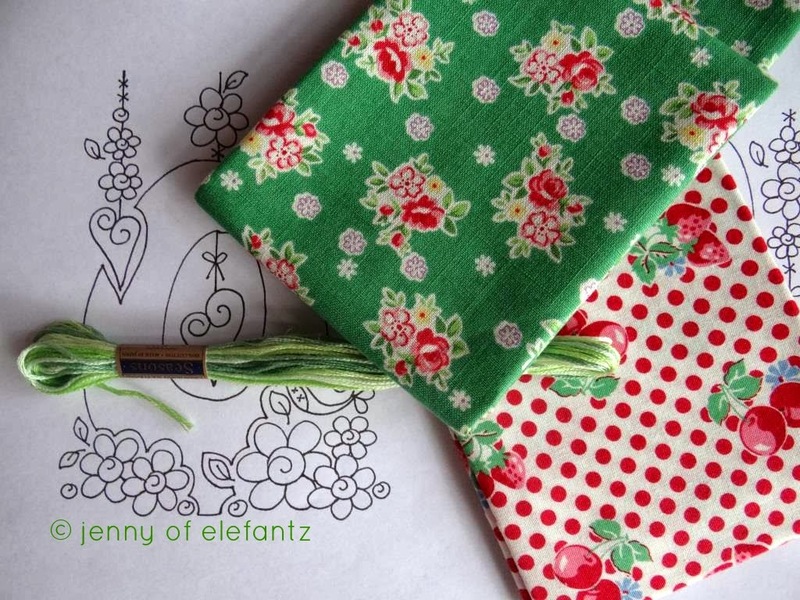 There are four pdf pattern sets of Jenny’s “Rosedaisy Alphabet” to be won – one each at four different blogs. Visit all four blogs and leave your comment and you’ll have four chances to win! you can purchase the full set now as a pdf download HERE in Jenny’s shop. The four winners will be drawn on Wednesday 17th of March – St Patrick’s Day! You are so fortunate to be part of such a wonderful circle of friends. My letter of choice: "E". I would start with "V" as Violet is my youngest grand daughter's name and I know she would just love to have it framed on her dressing table. Hello Barbra! Thanks for helping Jenny with her giveaway and allowing us the chance to win such a sweet gift! This is fun - a multi-blog giveaway and we get to see 4 different blogs too. Great fun! We would choose the first letter of our name as a practice before we made some for our friends. B for Baa, H for Miss H, and K for the Mother. and your blog is beautiful, my first visit. Love the beautiful designs ! I would choose to do my letter G first for my name. Such a beautiful giveaway. Thank you Jenny. I would start with "L" for a great grand daughter due in early June. I would do it in soft pink. Thanks Barb for helping Jenny with this wonderful giveaway..
LOVE, LOVE, LOVE this! gorgeous!!!! thanks for the chance! I am a big fan of Jenny's. For me the letter J (it is also my grand daughter's initial)! Love this alphabet & I would make the "H" first for my precious daughter Haylee. Oh Barb, Hi. Thanks for hosting part of Jenny's giveaway. 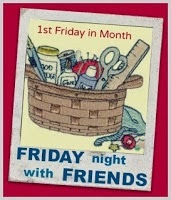 I would try to make D first for myself, but as I am bad at sewing for my, I would end up making an R for a friend. This is the first time I have read your blog. Thanks for sharing your thought and ideas with us. Jenny's letters are so pretty. I would start with K for my oldest grandchild Kendra. The alphabet is lovely. I would sew P first for my daughter Patricia. I had the pleasure of meeting Jenny at LGS and fell in love with these designs., I have two grand daughters Z for Ziva and P for Paige so they are the two that I would love to stitch first. Hi Barb! What a beautiful blog you have featuring my favorite color - pink! You must have so much fun with Jenny. I fell like I know her after following her blog for so long. Best wishes to you from the USA! I would stitch the letter K first and give it to my friend KT, my friend Karen, my daughter Korie, or I might keep it for myself. What a lovely giveaway! 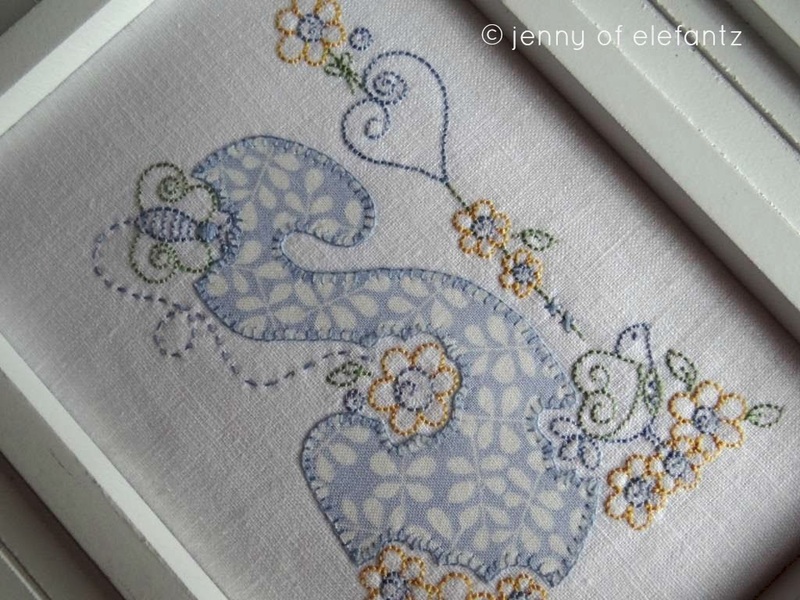 I love Jenny's designs and would like the letter "E" so I can make a pretty just for me! Thanks! Lovely alphabet, I would start with B for me. I of course would stitch L first, just for me! Such lovely designs. Truly a great alphabet. I would start with "A" for my daughter, and then make for gifts for my girlfriends. I'm going to be totally selfish with this and say that I would stitch a D first since it's the first letter of my first name. What a beautiful alphabet. I would make the S for my granddaughter. Love your alphabet. I would stitch the M for my granddaughter. She would love it framed for her bedroom wall! Sorry Nancy, you have not left me any way to contact you!!!!! Love these letters! I would do a M and then a K for my grandkids names. These are so lovely! I would start with b and e for my daughters! Thank you for a sweet giveaway. I would do the letters J and S first for my lovely daughters. When I saw the S in the blog post, I knew I'd start there. I think it would make a charming journal cover for me! So adorable! I would stitch a 'Q' for quilting to display in my sewing studio. What a precious work of art!! I would begin with the letter R, what fun to have! I would stitch M for my MIL. Her birthday is at the end of the month. Thank you ladies for this awesome giveaway! Jenny's new alphabet is just gorgeous. I'd love to make one for one of my swap partners so I'll have to keep which initial I'd use first a secret! Thanks for the lovely giveaway, Barb. Such beautiful alphabet stitcheries. Love Jenny's designs. The first would be the initial "L" for my Mom's upcoming birthday. I would make a letter S, the first letter of my last name! Differently C for Grand daughter Chloe! Beautiful alphabet, it would be so much fun to stitche. I would love to stitch my initial W for Wendy. Thanks! I'm hoping it will be me starting off with the letter "F" for a dear friend, Fern. Love the alphabet and would have to be M for my grandaughter. Será o "L", de Laura, minha neta que chegará no final do mês! Also Monday is the 17th March and not Wednesday!! I love these and would like to have them. I would make an A for my two granddaughters. Sorry Anne, you have not left me any way to contact you!!!! Probably B and K to make a wallhanging for our tiny motorhome. The most lovely yet of Jenny's patterns! Thanks for helping her out, Barb. I'd start with the letter M, the initial of our family name. Email address in my profile. Hi!!!! I would do an A first!!!! I haven't made anything for my newest grand daughter yet!!!! I really have to get some done for her!!!! Thanks for the chance to win!!!! I would start with the letter "A" just because it is the beginning of the alphabet. Thanks for the chance to win. My first letter I want to stitch is E! Christmas ornaments for grands. I will start with E for Ethan and Emma. Beautiful! I would start with A for my name and use it on a pouch for my Ipad. I would do the M as our spare room (which has just been repainted) is called the M-room. It is used mainly by my mum whose name is Margaret, my daughter whose name is Megan and m for mum (when my mother in law stays). Love it! I would start embroidering an H. It is the first letter of my name. They are beautiful! I would start with C for me and E for my daughter Emmeline! This is a lovely alphabet design from Jenny. I would choose S for my granddaughter Sarah to start with. Barb, well I followed the yellow brick road to win the wonderful letter blocks, but couldn't hook to Wendy's comment site :( So I am out of the drawing. :( The letters are beautiful!!! And the first letter I will do is the letter "O" for my front door. No sweet little Granddaughters here (yet) so I would make an R for my craft room. I love this alphabet! My first letter would be an L for my daughter's initial. I would sew E for my daughter who is awesome and has an inward strength that not many people have she is a mother of 2 autistic boys who are a real handful but she has the patience of Jove.. Thank you, Barbra, for giving us another chance to win. I really admire Jenny and everything she does. I would stitch the letter "K" first for my sweet friend Karen. My letter would be A for my granddaughter Amelia. She turned 3 on Wednesday. Thanks! I have followed Jenny's blog for a while now and love her designs and her inspiration. You have a lovely site. I would choose the letter "E" for my youngest granddaughter and make it into a birth block. Thanks for helping Jenny with this wonderful give-away. Her rose daisy alphabet is gorgeous. I'd love to start with the J for my fantastic daughter. I'm sure all 26 are fabulous. I would choose "S", for my daughter Sarah. Thanks for participating in this giveaway. The letters are all so lovely. I'd start with an "S" since it is my initial, then I'd do the "C" next for my cousin Cindy. I'd probably stitch W first, something for me for a change! I'd also do an S for my mum and N for my MIL. I would stitch the E first for our family last name. thank you for a chance to win the alphabet. I love your blog, I am now a follower, thanks to Jenny of Elefantz. Thanks for the chance to win these great letters. the letter C which begins my name would be the first letter I would make. thanks for a chance. I would start with the letter A as it is the first letter of my daughter's name. Thank you so much for the chance to win one of Jenny's patterns. I would start with the letter R as its the first letter of my name and also the first letter of my 1 1/2 year old granddaughters name Ruth. It would look beautiful hanging in her room. Thank you for the wonderful opportunity to enter this give away. I would love to stitch, L for Lily or C for Chloe, or R for Riana. These are my wonderful Granddaughters. Sorry I had to delete my first comment. I would stitch C, L, and R because these are my initials. It is a lovely design as are all of Jenny's designs. And now I have a new blog to follow, Cotton Compulsions! My e-mail address is bridgetsmom@q.com. I would make an R for my first name. I would stitch one for each of my granddaughters. So I would start with T for the oldest, Trista, then do 2 K's for the next two, Kelsy & Kylie, then do an A for Alyse and finally I'd stitch an S for Shasta. I'm a lucky grandma! Love, love, love these patterns. I plan on stitching letter B for Beverlie and A for Annabelle, my granddaughters. Grazie per il giveway! Prima lettera S per la piccola Sophie! I would make a wall hanging L O V E for our bedroom. I love making things for the home, but tend to make things for others. Beautiful alphabet - I would make the A first - for my name. Lovely! I will pick the letter B for my first initial. Thanks for the chance to win! I would have to do two for my daughters, so it would have to be R or D. Thanks for the chance. Thank you the chance to win this beautiful alphabet! I would do four letters, L, O, V, and E to make a pillow with! I have 7 grandchildren so I would start at the letter D for Della my first granddaughter. The letters make me smile.